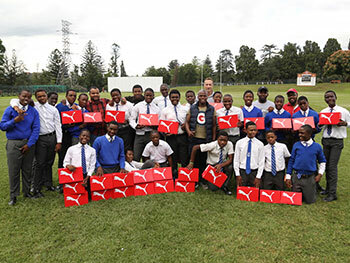 This past weekend saw The SA Rugby Legends joining forces with the organisers of the inaugural Zando Durban 10s, to field a legendary team of players for the John Drake Invitational Team. 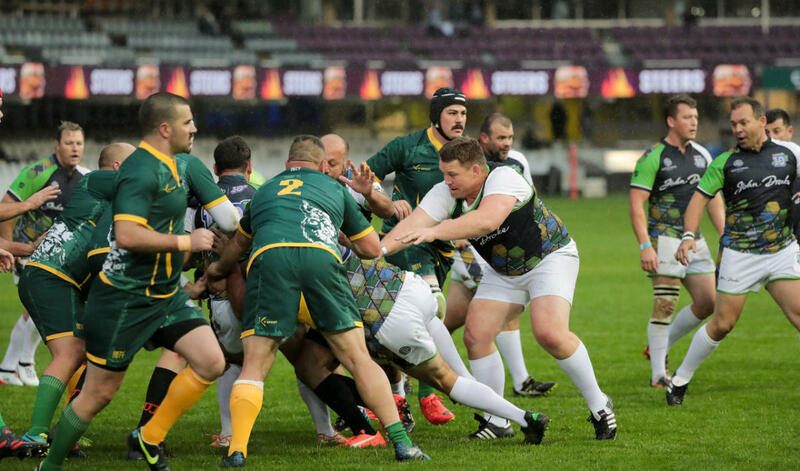 Participating in the Vets Section of the Rugby 10s event, the games were played on the outer fields of the home of the Cell C Sharks at Durban’s historic Jonsson Kings Park. Day 1, held on Friday 13 July, proved to be both the legends lucky number and day, as they powered their way through two matches, emerging victorious in both. 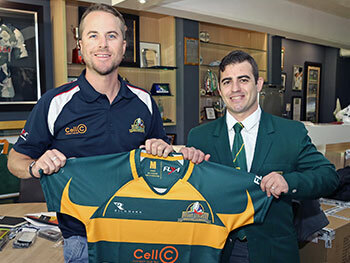 Captained by a 10s regular, the illustrious speedster Henno Mentz and with coach Ian McIntosh on the sidelines, it was also a 10s debut for former Bok Captain, John Smit. 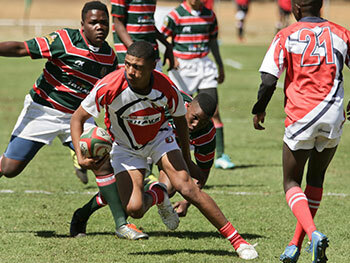 The highlight of Day 1 was undoubtedly their victory against the Gauteng Barbarians. An exciting game ensued with both Henno Mentz and former Sharks forward, Dieter Kriese, both powering over for a try each, with Helmar Breytenbach scoring a brace. Erik Aissing successfully converted 3 of the tries to help take the John Drake Invitational Team to a 26 -14 win. The two wins secured the Legend’s spot in the final on Saturday 14 July, which was played in the main stadium as the curtain raiser before the Cell C Sharks final pool game of the Super Rugby season against the Jaguares. A repeat performance of their fixture against the Gauteng Barbarians progressed, and was very much a case of home ground advantage for the legends, many of whom played both their provincial and Springbok rugby on the iconic Jonsson Kings Park pitch, including Captain Henno Mentz, John Smit, Dieter Kriese and Lungani Kama. The first half saw the Gauteng Vets ease in front, scoring two tries, with one converted and both in quick succession before the John Drake Invitational Team came back with 2 tries, both converted, taking the score to 14 -12. 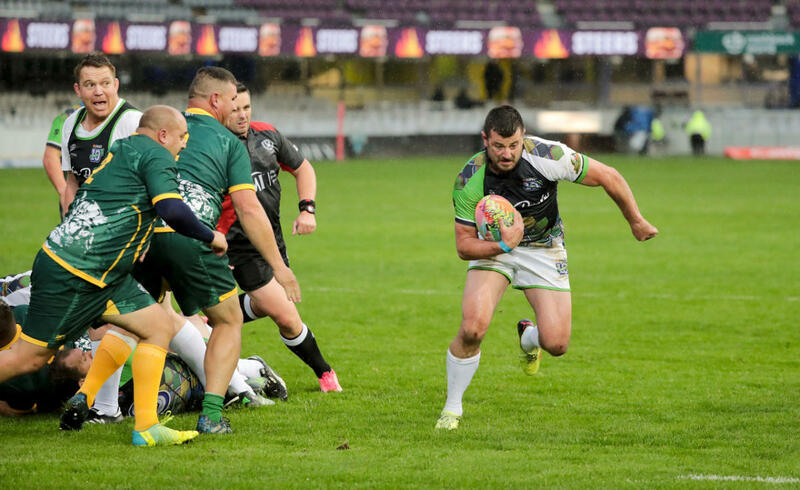 This gave the legends a lean 2-point advantage as they managed to hold off their opposition before Henno Mentz sealed the deal with an impressive solo effort, breaking through the midfield from a scrum inside the opponents 22, tearing through to the try line. Once successfully converted by Erik Aissing, the final score was 21 – 12 securing another great Zando 10s win for the Legends representing the John Drake Invitational Team.